Whilst there is undoubtedly pleasure to be had in loading up your bike and leaving it all behind on an adventure unfettered by deadlines, most of us have to try to squeeze as much fun as we can into a fixed amount of time. This makes the option of flying directly to the best trails under the warm Spanish sun an appealing one. We have an assembled a plethora of the best adventure tours and bike hire options in Spain and across the rest of the world on one page to help you start planning your next adventure on two wheels and have loads of options in Spain and throughout mainland Europe – all a short flight or comfortable ride away. 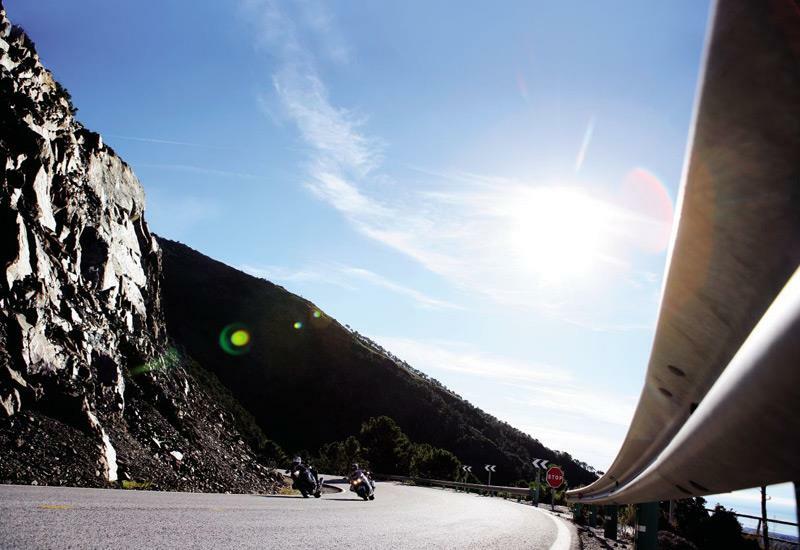 Whether you want to sample the miles of unrestricted trails across the mountainous, scenic southern coast of Spain, venture into the rural Costa Verde or hire a bike in Barcelona, we have a great selection of Spanish motorcycle tours, with all the details and contacts you’ll need. You can zoom in and navigate the map to find a tour, trip or motorcycle hire exactly where you want to go. Go to motorcyclenews.com/adventure-map to start planning your adventure.